We await the release of the much anticipated “Finding Happiness” movie produced by Nollywood superstar actress Efe Irele and Directed by Chris Eneaji, Over The Top Entertainment duoSkuki teamed up with highly rated beat-smith DJ Mo for the official soundtrack of anticipated movie entitled “Slow Down”. The Dj Mo production is motivating and pleasant at the same time, allowing Skuki’s unique tone to entice and encourage listener. 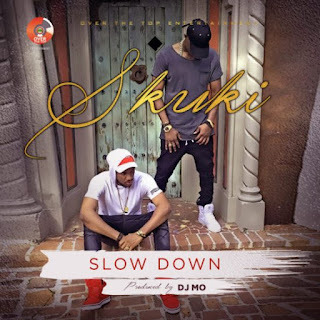 The visuals for “Slow Down” is expected to hit screens soon, as the Over The Top Entertainment team have already shot the visuals on various locations in Miami, Florida.